The City of Placentia, in Southern California is well located in Northern Orange County. Nearby neighbors include Brea to the northwest, Yorba Linda to the northeast, Anaheim to the south and Fullerton to the west. Placentia is a quiet residential community you will love. It all began with a Spanish land grant, in the areas of Placentia, Fullerton, Yorba Linda, La Habra and Anaheim as we know them today. Even the city’s name Placentia “a pleasant place” is derived from a Spanish word. At the turn of the century the area was ripe for agriculture. In the early 1900’s one of the early settlers convinced the Santa Fe Railroad to re-route the tracks through the area known as Placentia. The area became known for oranges and avocados to name a few. Packing houses were built and that was the beginning of putting this community on the map. Years later the growth was minimal, to some Placentia was considered to be in the country. The City incorporated in the 1920’s. By 1960 the population was relatively small (compared to surrounding communities) with about 5,000 residents. Within the next ten years the area experienced an explosion of growth to 25,000 in just a decade! Today the overall population is in excess for 53,000. Owner occupancy rate 69% ~ As compared to 57% U.S.
Transportation includes the nearby 57 freeway to the west and the 91 freeway to the south. 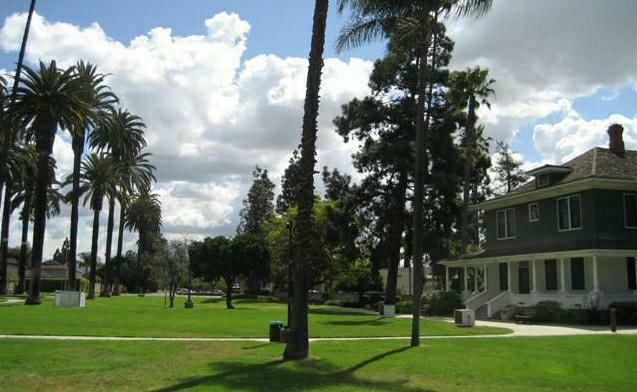 Less than 2 miles from nearby Cal State University at Fullerton. Today the City of Placentia continues to thrive and grow. Newer development has continued primarily in the area south of Alta Vista. Placentia is home to some of the areas most beautiful parks, including Tri-Cities Park pictured. The tranquil lake is a great place to spend the afternoon fishing. If you’ re interested in learning more about Placentia real estate, contact me, Lynda@PreferredHomeBrokers, or any of the associates at PreferredHomeBrokers.